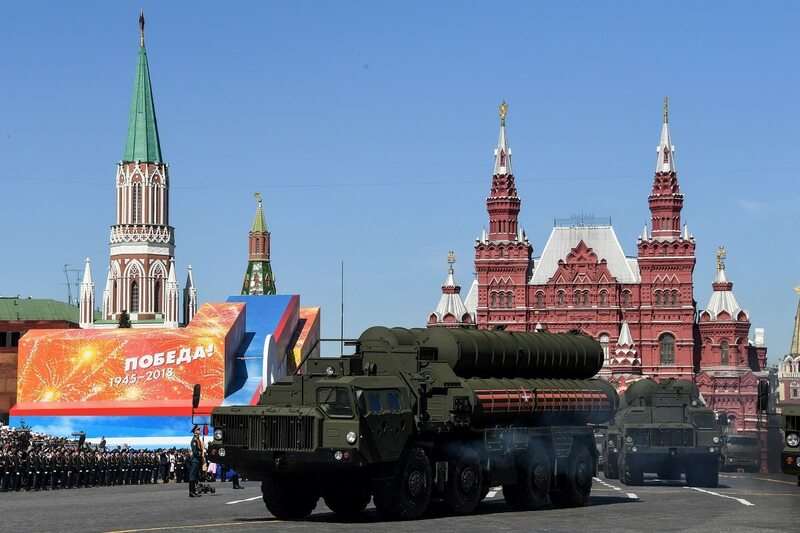 WASHINGTON ― India is moving forward with a procurement of the Russian S-400 Triumf air and missile defense system, despite possible U.S. sanctions against Moscow, India’s defense minister announced at a news conference. India has “got quite a lot of Russian defense assets ― assets, spares and servicing,” she added. Despite the threat of U.S. sanctions “we have mentioned that CAATSA (Countering America’s Adversaries Through Sanctions Act) cannot impact the India-Russia defense cooperation,” she noted. The CAATSA was overwhelmingly passed by Congress in August 2017 ― a 98-2 vote in the Senate and 419-3 in the House ― empowering the legislature to “review and counter aggression” by Iran, Russia and North Korea. The launch brings the weapon one step closer to its induction into the Indian Army’s Strategic Forces Command. The law, which came into effect in January 2018, can be brought to bear against any individual who “facilitates” an investment in Russia’s defense and intelligence sectors worth more than $10 million. Section 235 of the law stipulates U.S. President Donald Trump could then choose between five different sanction options, including asset freezes and denying access to U.S. and international financial institutions. India’s defense and foreign ministers are expected to raise the issue of CAATSA sanctions when they meet with their U.S. counterparts in Washington in early July. Here's how the Senate's massive defense policy bill would target Russia and China. The $5.5 billion deal between India and Russia for the procurement of five S-400 regiments ― consisting of approximately 40 transporter erector launchers, radar systems and command posts ― was first reported in 2016. The S-400 Triumf is one of Russia’s most advanced air-defense systems. It is currently deployed in the Russian enclave in Kaliningrad, recently annexed territory in Crimea, and in Tartus, Syria, to protect Russian and Syrian air and naval units. The system is also deployed throughout western and eastern Russia. Russia and India have a history of collaborating and sharing missile technology. Not only does India currently operate the Russian-made S-300 ― the S-400’s Cold War predecessor ― but the two countries also partnered throughout the late 1990s and 2000s to develop the BrahMos anti-ship and land-attack cruise missile. If the deal is completed, India will join Turkey and China as the latest buyers of the air-defense system.